KVH Industries, Inc., (Nasdaq: KVHI) has expanded their mini-VSAT Broadband(sm) HTS network to the Pacific Ocean via the Horizons 3e satellite, which is jointly owned by Intelsat and SKY Perfect JSAT. 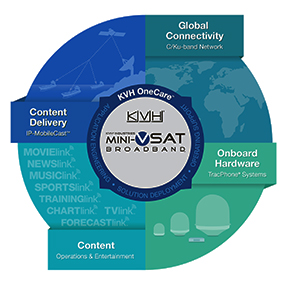 KVH launched its mini-VSAT Broadband HTS network in late 2017 and continually enhances the network with technological advancements. 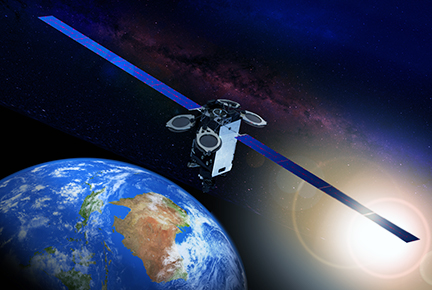 The network uses the Intelsat Flex Maritime service to deliver multi-layered Ku-band coverage, enabling vessels to see multiple HTS and wide beam satellites for maximum availability of broadband service. KVH’s HTS network builds on the success of the original maritime satellite network that KVH introduced in 2007. Brent Bruun, COO, KVH, said that with the expansion of coverage to the Pacific Ocean region, the company's advanced HTS network footprint is complete, providing the commercial and leisure mariners who rely on the KVH solution with great coverage, fast data speeds, and enhanced performance for Internet access, VoIP, and all our connectivity services at sea. The company is committed to continuing a high level of service in providing the maritime industry with a complete end-to-end solution for global connectivity.